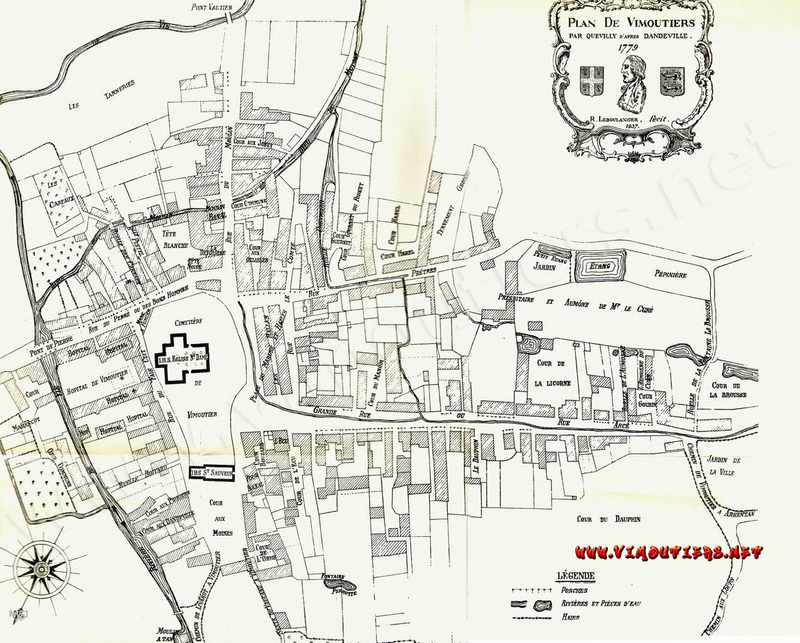 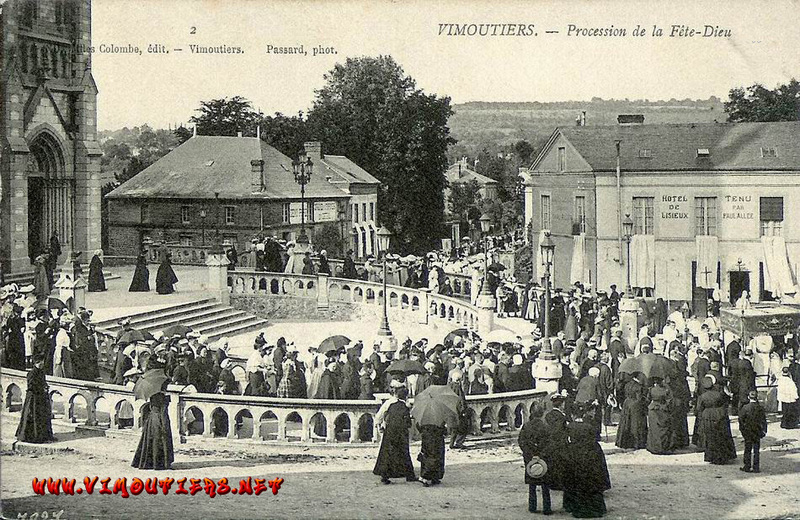 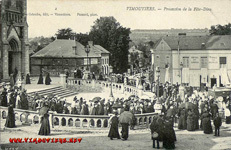 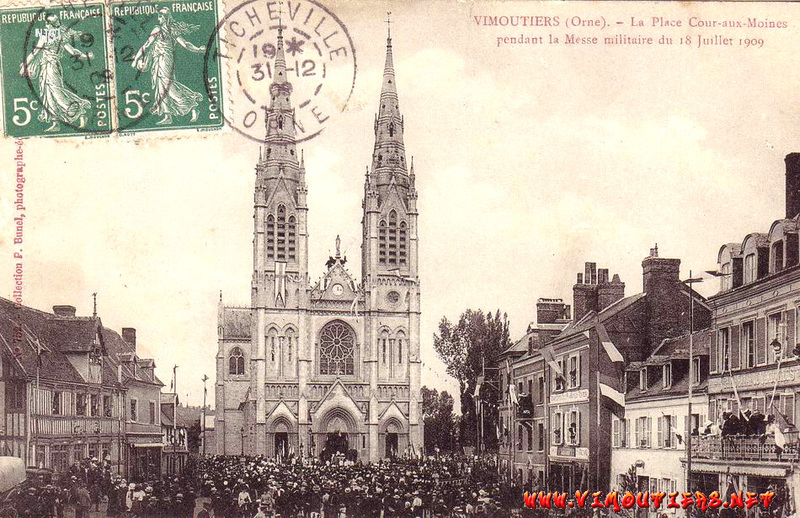 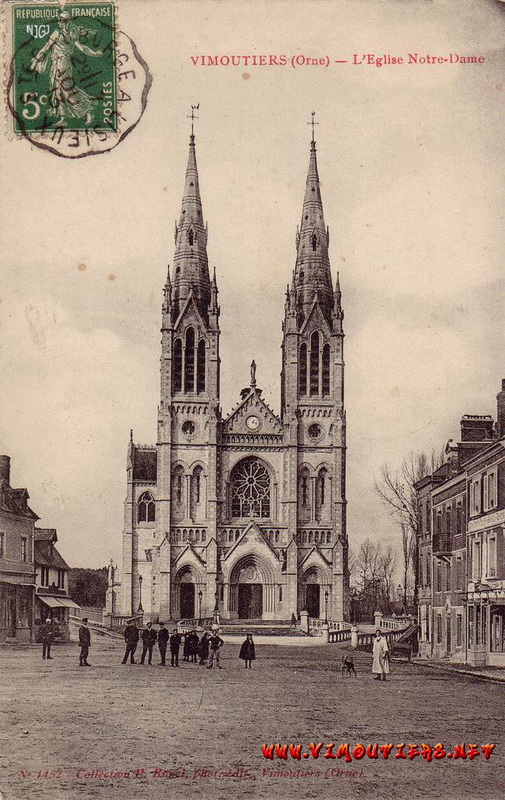 In 1888, Abbe Jenvrin has just died, Abbe Bisson succeeds to him and just behind the old Eglise Saint Sauveur, in the Monks yard (map1779), is laid the first stone of the present Eglise Notre-Dame de l’Assomption, Church of our Lady of the Assumption. 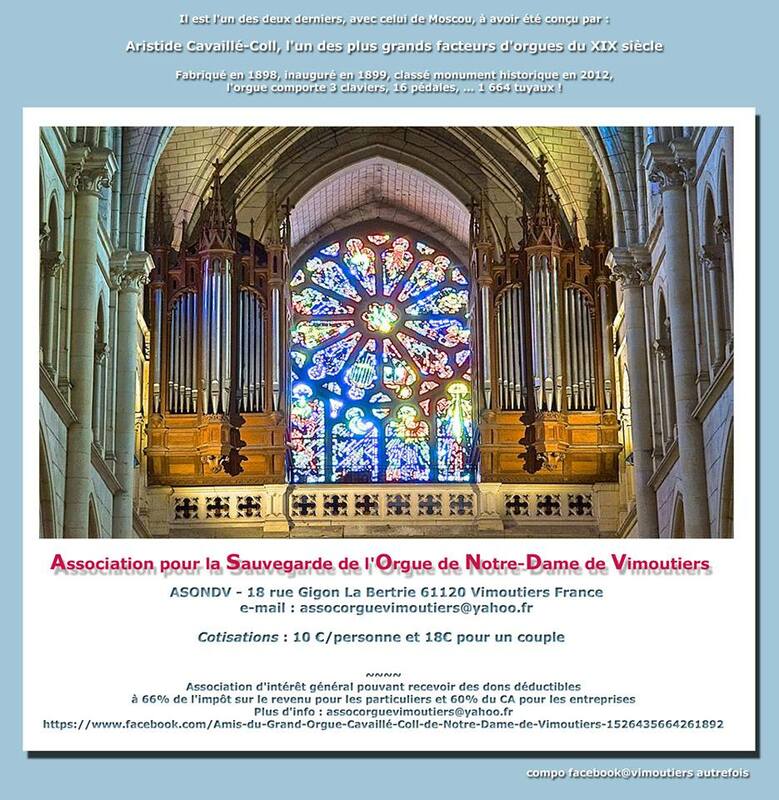 The financing is possible thanks to private donations, the main craftsmen are the architect Frangeul, the entrepreneur Fourcade, the sculptor Marle and the painter/stained glass manufacturer Lavergnes. 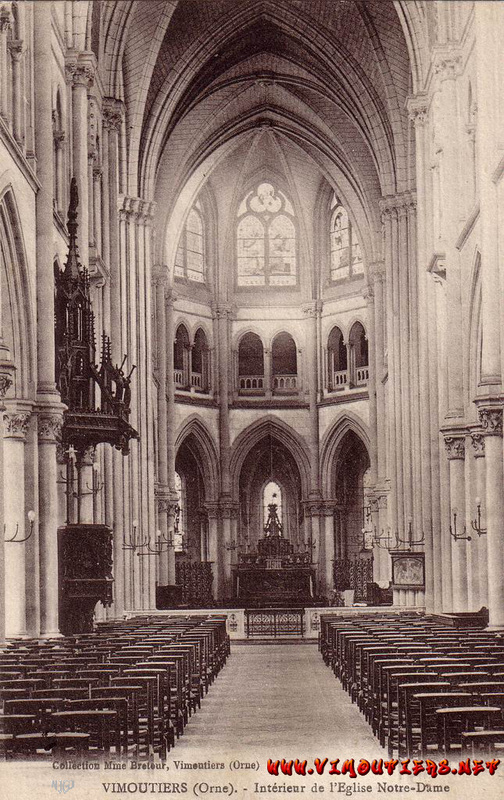 The architecture for this Church,of a neo gothic/Gothic revival style, made of granite, limestone and ashlar, is the Latin-cross plan and the Patrimonial Inventory describes it as follows : "Choir and vaults covered by polygonal hips, aisles covered by sloping roofs, 2 sacristies. 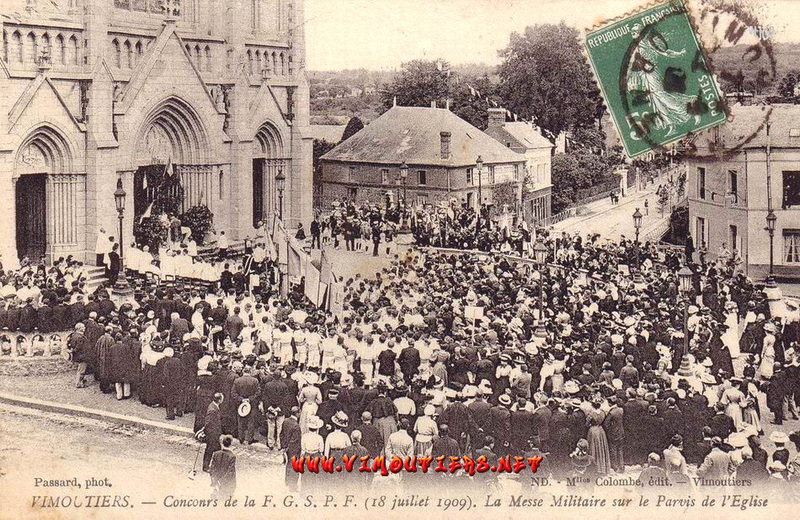 - Pope Leon XIII and Monseigneur Tregaro's arms, on the tympanum of the doors of the sacristies. 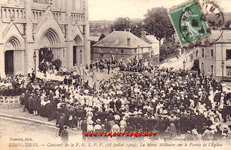 - The arms of the Jumieges Abbey on the left part. The church is blessed solemnly in 1896 by Monseigneur Tregaro, Bishop of Sees whereas in 1897, the first Church of Notre-Dame is demolished. 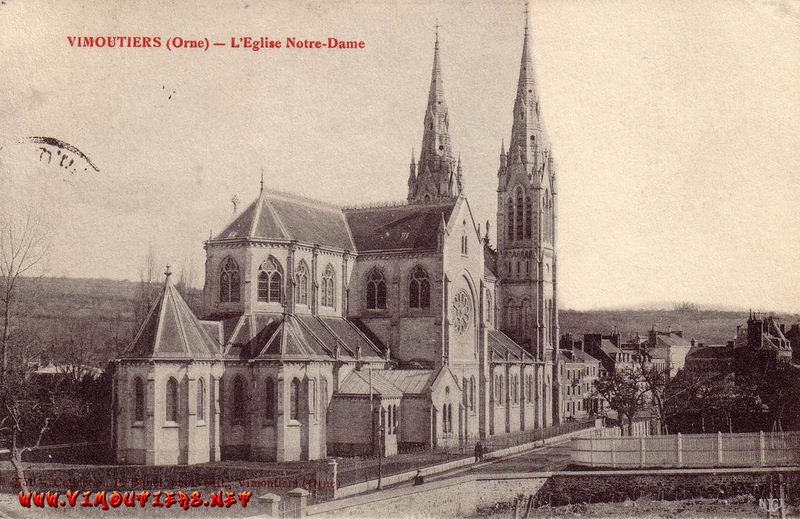 In 1905, the large organ, ordered in 1898 to Aristide Cavaille-Coll/Charles Mutin, is inaugurated. 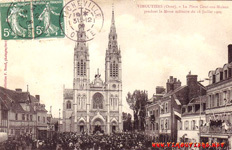 It will be electrified under the responsability of Mr Moulin, curate, and then restored and modified in 1952 by Mr Lambert, organ-builder in Le Mans. Classified as a "French Romantic Organ", with 3 keyboards and 2000 pipes, this organ is the most important one in the departement of Orne. 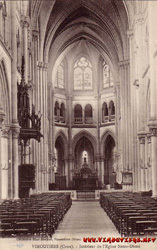 Pehaps, some pieces indexed in this Church come from the 1st Church of Notre-Dame such as chalices, ciborium, ostensorium, and furnitures dated from the beginning of the XIXth century. 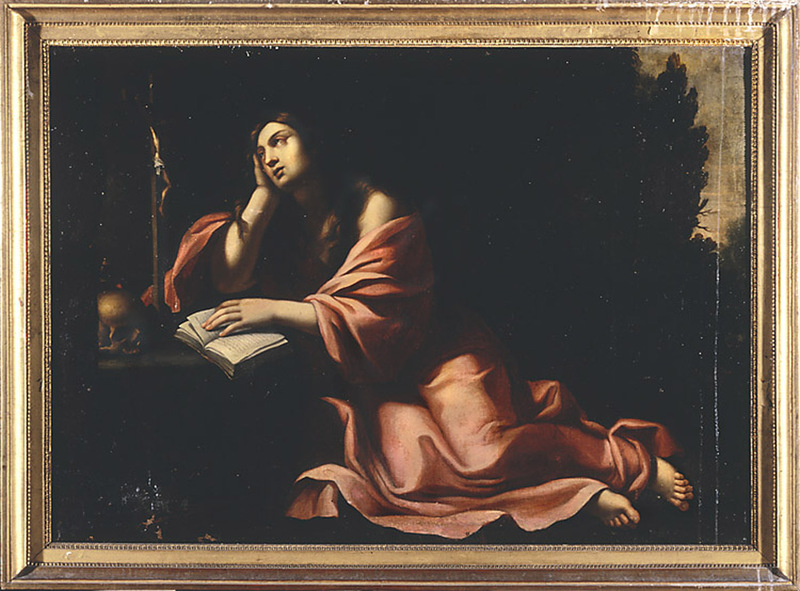 Also in this anteriority, a painting of Sainte Madeleine dated 1665 by the painter Nicolas Chevillard, from Macon, a work influenced by the Bolognese School and of which there is an ancient copy in the Church of Saint Romain in Rouen. 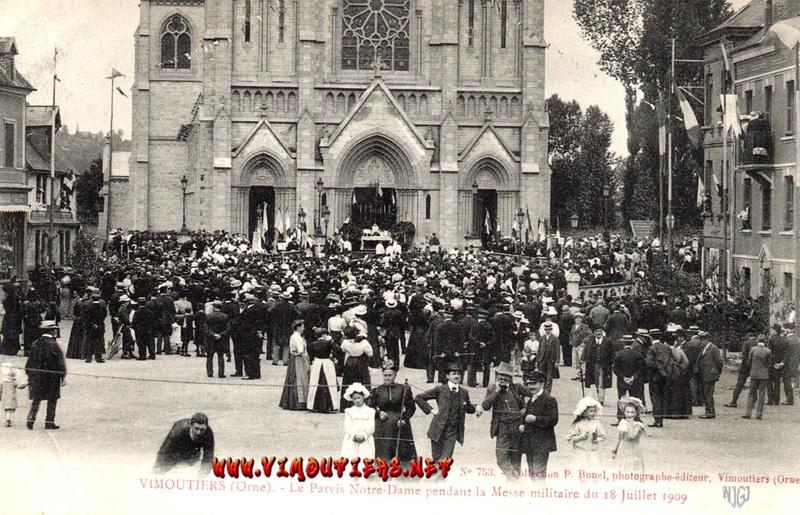 It seems that the conditions of its presence in the Church of Notre-Dame remain mysterious.